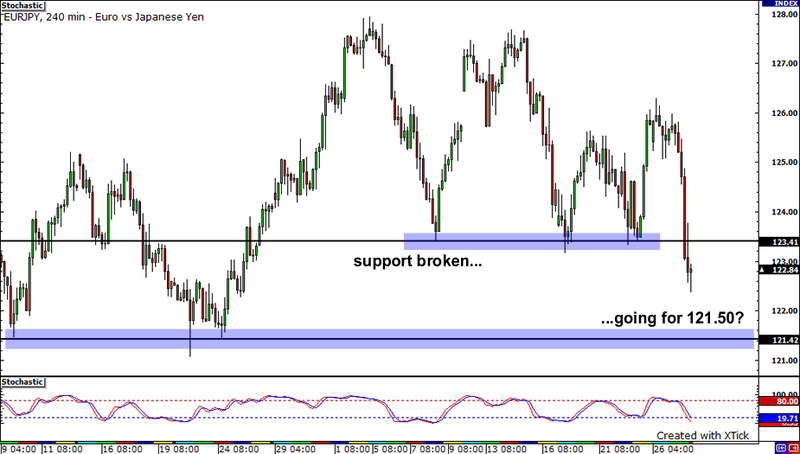 After breaking through support at 123.40, what’s next for the EURJPY? It looks like the EURJPY is bee-lining towards the next major strong support level at 121.50… But could the bears really push it this low? Well, I don’t know for certain, but I think we could first see a retest of the broken support before price heads downwards. With that said, watch that 123.40 level very carefully, as it could determine whether the EURJPY is going up or down! 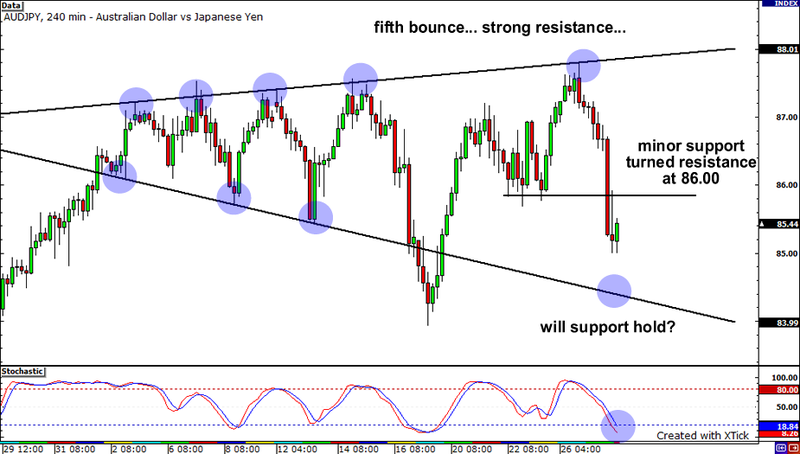 Did you catch that huge down move on the AUDJPY yesterday? I sure hope you did, because I have been pointing out that broadening formation resistance now for quite some time! 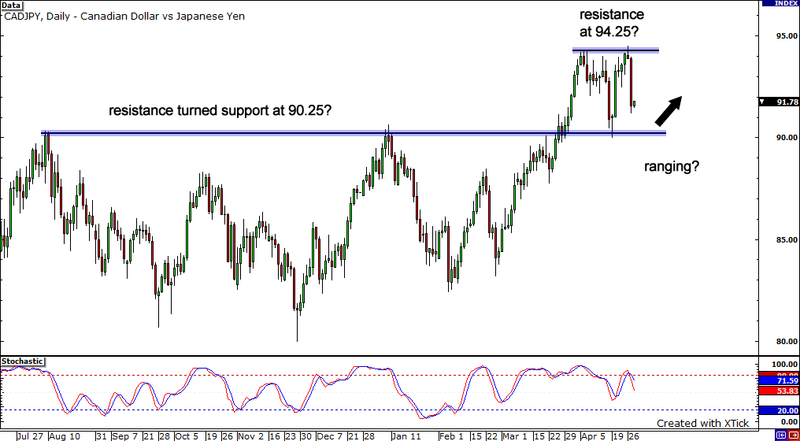 In any case, it looks like the AUDJPY’s losses could take a pause for now because it is finding some minor support at the 85.00 handle. I’d watch price action carefully for now, as a break could take the pair all the way down towards the next major support level somewhere around the 84.00-84.30 region. On the flip side, if the pair starts heading up, potential resistance could be found at 86.00. Lastly, let’s end with a look at daily chart of the CADJPY. It looks like the 90.25 price level is now acting as a resistance turned support level, as price bounced after hitting that price area. It seems to me that the pair is now ranging and finding resistance at 94.25. After yesterdays strong drop and stochastics still showing downward momentum, we could see price continue to fall before buyers start jumping back in at the bottom of the range at 90.25.